Order the best Outlook 2010 e-learning cource now online and start today! 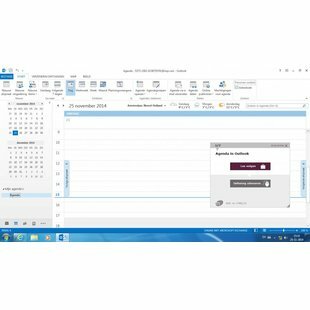 Take part in this unique Microsoft Outlook Elearning course, 365 days, 24 hours a day. You’ll get access to a virtual MS Office environment (cloud) filled with rich interactive video’s with speech and subtitles, practical cases with real time analysis of your answers and progress reports. All this in high quality to prepare you for the Microsoft Office Specialist (MOS) exam. Developed by MOS teachers with more than 27 years of experience and a publisher with Microsoft Gold Partner status. Available in LMS/SCORM (learning portal). Certificate of participation when at least 70% of the course is successfully completed.